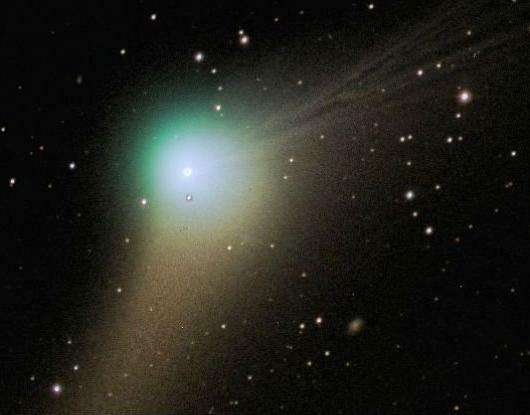 One of the most beautiful comets ever discovered, Comet Catalina, passes by Earth. According to reports, in what’s expected to be its first maidan and only visit to the inner Solar System. Comet Catalina is expected to move within 0.4 degrees (less than the apparent width of the Moon) of Arcturus (one of the brightest stars) in the sky. Comet Catalina should be pretty bright, and against really dark skies visible to naked eye, but it’s best to be prepared and take some binoculars or a little telescope. The best time to spot it will be late at night on 17 January, when it’ll be about 100,000,000 kilometres away. After this point comet Catalina will move away from the earth on it's course in the solar system.